I came across these in my recipe book and just couldn't wait to have a go at making them! Step One // Preheat the oven to Gas Mark 6/200c/400f. 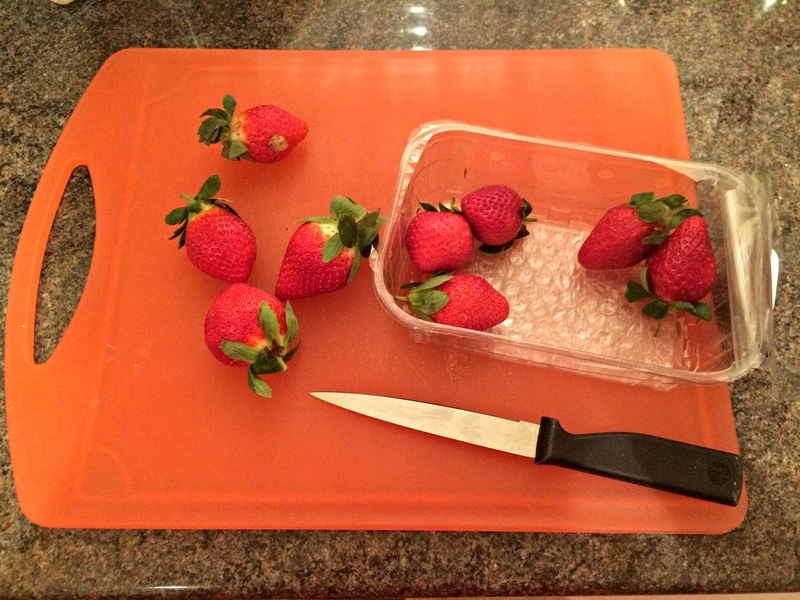 Step Two // Chop the strawberries into small pieces. 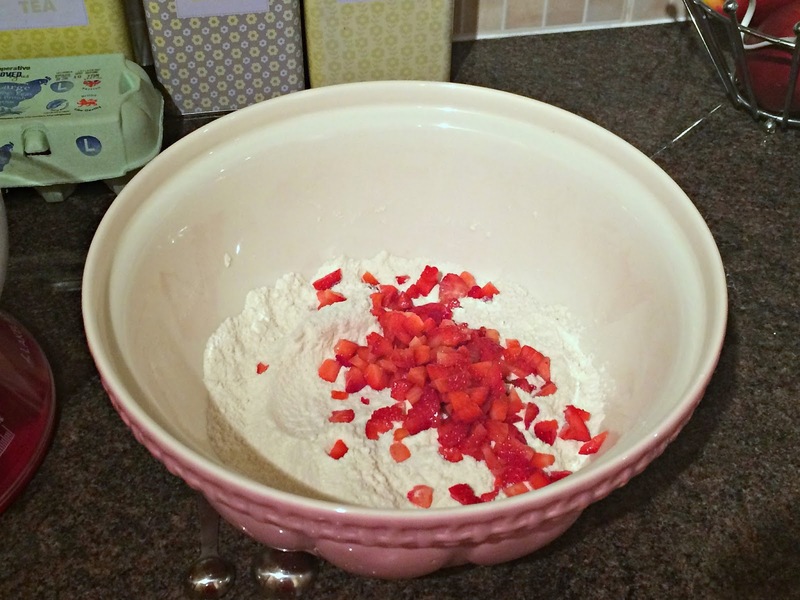 Step Three // Sift together the flour, baking powder and salt into a large bowl. 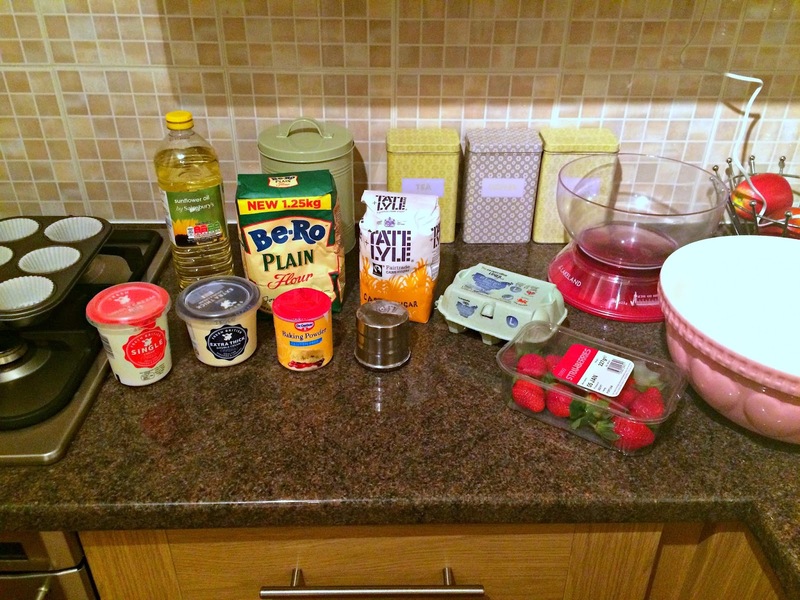 Step Four // Stir in the sugar and chopped strawberries. Step Five // Place the eggs in a large jug and lightly beat. Step Six // Now beat in the single cream, oil and vanilla extract. 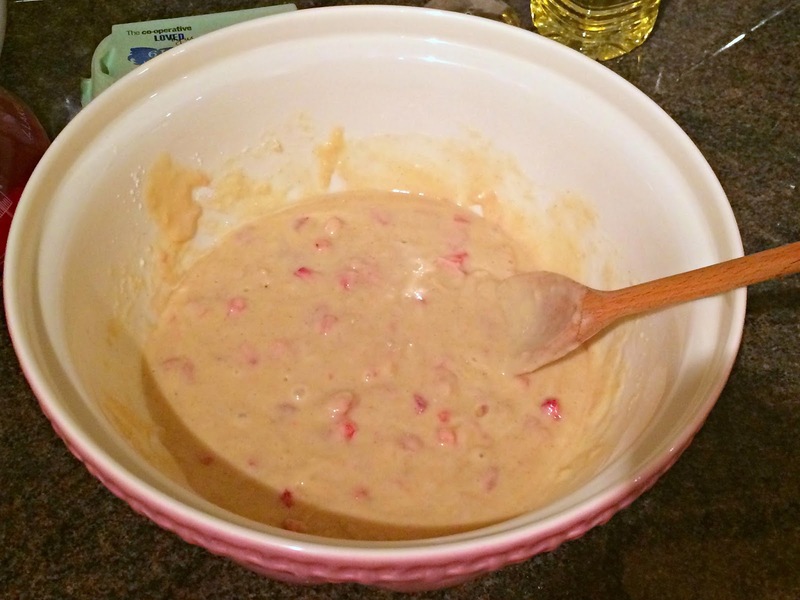 Step Seven // Make a well in the centre of the dry ingredients and pour in the beaten liquid ingredients; stir this gently until just combined - do not over mix. 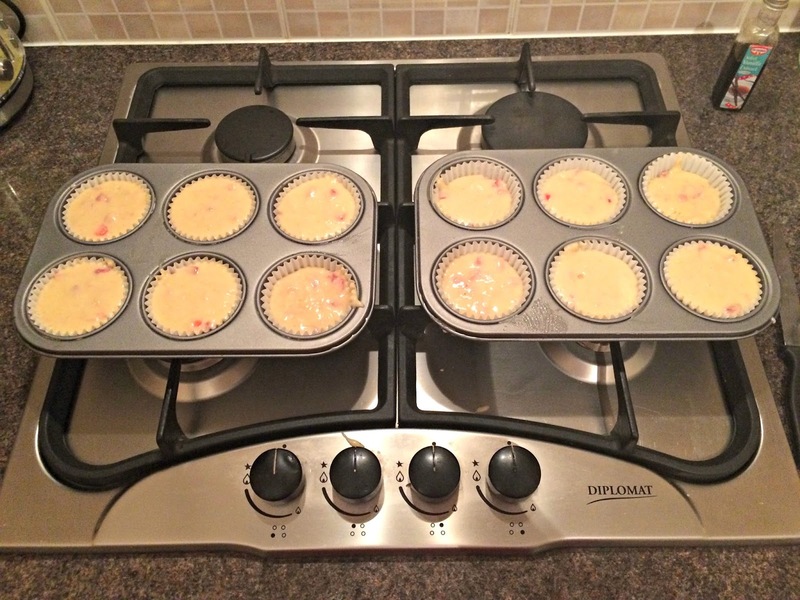 Step Eight // Spoon the mixture into the muffin tins. Step Nine // Bake in the preheated oven for 20 minutes until well risen, golden brown and firm to touch. Step Ten // Leave to cool in the tin for 5 minutes then transfer to a wire rack for further cooling. 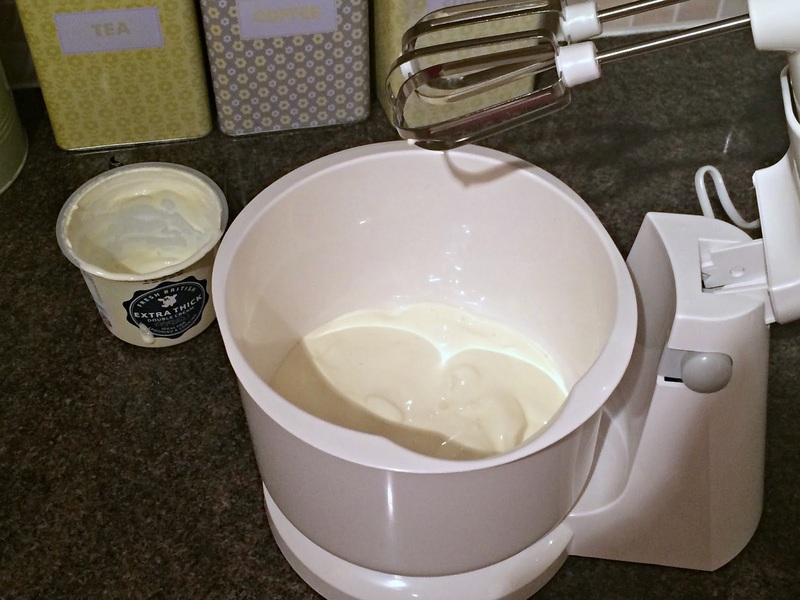 Step Eleven // Place the double cream into a bowl and whip until stiff. Step Twelve // When the muffins are completely cooled, pipe or spread the cream on top of each muffin and then top with a strawberry. 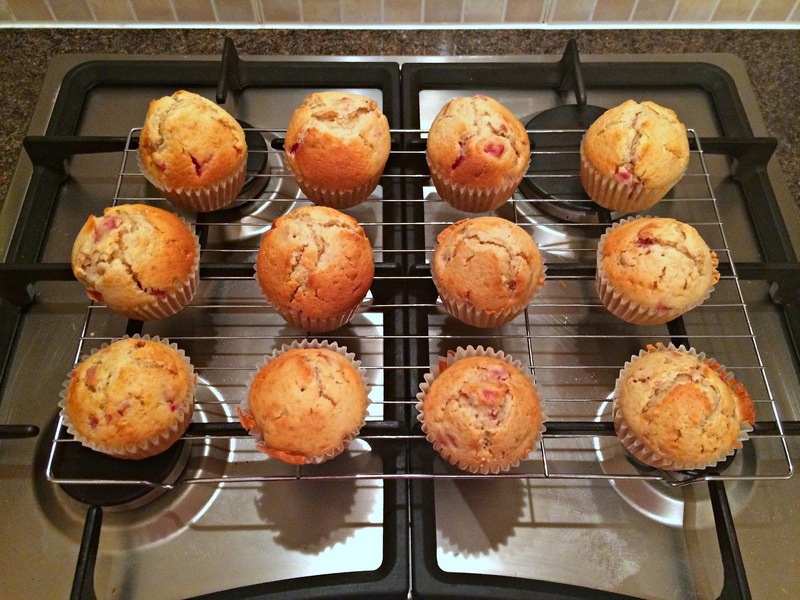 I think these muffins may be the best thing I've ever baked and I bet they'll be amazing in the summer! mmm these muffins look delicious! 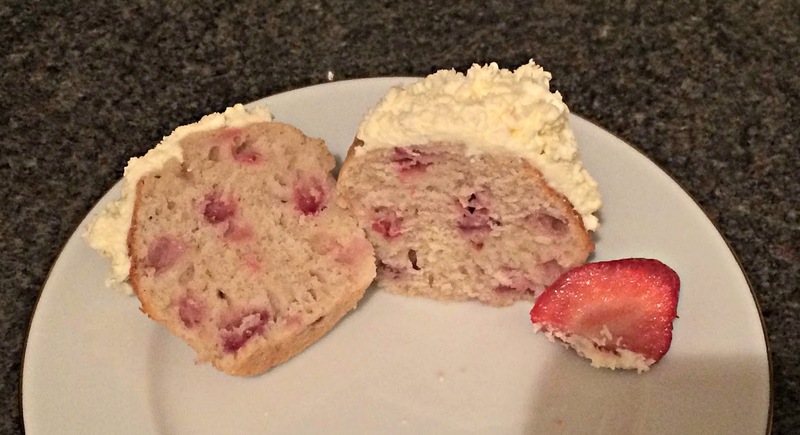 I may try this recipe with raspberries instead as I prefer them to strawberries, yum!